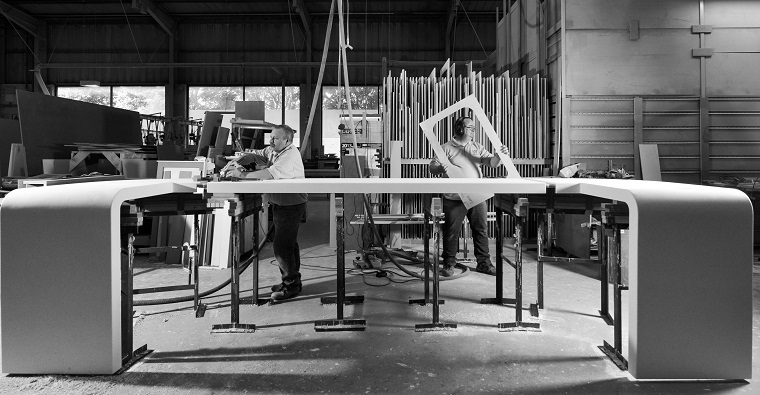 Home > Blog > What makes a solid surface fabrication specialist? What makes a solid surface fabrication specialist? Solid surface fabrication is a specialism. 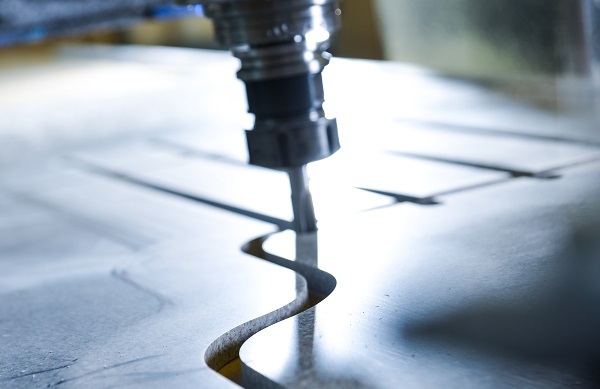 It takes a detailed knowledge of the materials, access to the correct cutting and sanding machinery, plus an in-depth understanding of the methodology to get right. Each surface goes through numerous stages before it reaches completion. The skill that goes into preparing each bespoke solid surface is exactly what makes them so desirable. Customers investing in a bespoke luxury kitchen or bathroom are expecting the highest quality workmanship at every stage of their installation – and this includes the work surface. But with hundreds of UK fabricators offering solid surface installation, how do you know which companies to rely on? And how can you be sure your solid surface fabricator will provide the level of expertise that’s required to satisfy your customers? Right from the initial quote and design, your solid surface fabrication specialist should be able to show you plenty of previous designs, in a range of styles and sizes. Make sure they offer practical advice and a little inspiration to help your ideas take shape. Following the initial ideas stage, it’s the role of your chosen fabricator to gather the templating information they need and come up with a detailed plan and a quote based on the agreed requirements. Working from their own measurements, your fabricator will accurately template your bespoke surface down to the finest millimetre, away from the site. This stage is important as it ensures successful installation first time around while minimising disruption to the rest of the project. As we’ve mentioned, solid surfaces like Corian, HI-MACS and Hanex have to be treated using specific machinery during the fabrication process in order to preserve their strength. Using a regular saw on a solid surface can cause hairline fractures that damage the surface structure. Only fabricators who’ve been assessed as adhering to the correct procedures will have the accreditations to say so. For instance, we’re founding members of the DuPont Quality Network and proud members of the LG HI-MACS® Quality Club. This means our processes have been assessed by the respective manufacturers to make sure they are in line with best practice. It also means that every surface we create has been built to stand up to daily wear and tear, for many years to come. The stage that really sets a lone fitter apart from a fabrication specialist is the aftercare you/your customers receive following an installation. A solid surface built and installed by a specialist fabricator comes with a manufacturer’s warranty of up to 10 years. However, this warranty is unfortunately void where the tradesperson isn’t certified by the manufacturer. Alongside comprehensive warranties, leading fabricators will also offer a professional repair service for accidental damage. For instance, with every solid surface we install, we leave behind a colour matched sample in order to carry out any repairs should the worst happen. This means your customer is never going to be left with a cracked surface and nobody around to fix it. We hope we’ve given you an idea of some of the credentials you should be looking for when selecting a solid surface fabricator and we’d be happy to answer any questions you may have. Alternatively, if you’d like to talk to us about an upcoming kitchen or bathroom design project, please get in touch or send us your plans.